Last Thursday, 5 Oct 2017 I was invited to the launching event of Votre Peau at Galeries Lafayette together with beauty journal and Sociolla. You might be wondering what brand is Votre Peau? Votre Peau is a local Indonesian brand produced locally with ingredients imported from France made to cater to the needs of our people living in this tropical country. Let me share with you a little background on Votre Peau, the name of its brand come from a French word which means "your skin". I'll be sharing more about the event recap in this post as well as a little product overview on the product I received from the event. Shall we begin with the event recap first? Last event was made even more merry with the appearance of Suhay Salim one of Indonesia's beauty vlogger, DR. Kevin Maharis one of the founder and dermatologist at Maharis Clinic and our beloved Mira Monika the head of beauty journal as the guest speakers for that event. The event was held in a private function room in Galeries Lafayette as this mark the launch of Votre Peau at Galeries Lafayette. 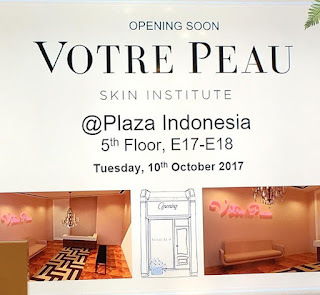 It was full house filled with bloggers and media who are eager to know more about whatVotre Peau had to offer to the beauty industry. 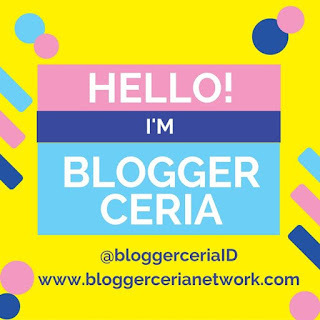 As a beauty enthusiast and blogger I'm beyond thrilled to know that this brand is a local brand which has a deep and serious commitment to bring in skincare that are effective for our skin living in hot and humid tropical country like Indonesia. It was shared by Dr. Kevin that most skincare in the market are either manufactured for Caucasian skin or even if its an Asian skin care like Japan or Korea they are countries with four season and then to get dry while us living here in Indonesia has hot topical climate all year long and its kind of difficult to find skin care that cater to the needs of our skin. Thus Votre Peau is launched to be the answer of the demand, as a dermatologist he shared that he has met patient with different skin concerns and problems yet he said skincare isn't magic and its not something we can rush. Therefore you can only trust the process while finding the right skin care for your skin needs. Suhay Salim also shared her personal experience after trying out the whole Votre Peau range. She told us that her skin was breaking out so badly at the first few months of this year and her skin was super sensitive at that moment that she began researching into each skin care ingredients and if there's any ingredient in the product with there blacklisted ingredient she won't dare to try it. I can personally relate to it cause I personally was like that back then when my skin was in horrible state and all I can do is trust my dermatologist with her procedure and skincare recipe but my skin wasn't showing any improvement in the long term. Until I decided that I need to dig deeper and find out more about my skin thanks to the internet that we can now exceed to almost any information we need it really helps me to find out about which ingredients are harmful for acne prone skin and which ingredients might cause irrigation etc... Slowly I began doing my own research and following the information I gathered I begin using skincare sold in the market and leaving my doctors prescription once and for all and you know what? My skin improved a lot until it became all clear. But recently I don't know what when wrong, but my skin has been acting out for a good couple of months now... But the thing is today we can do research, find out more about our skin, read reviews and do the trial and errors to find the perfect match of skincare for your skin concern. Before we used to relay so much on doctors but I think when it comes to skin care we should be our own doctor... We should do the diagnosis and find out what is the issue with our skin but sometime we do need the guidance of professionals who know better so that we don't do too much damage on our skin. But the key of a healthy skin is a healthy lifestyle! As for skin care is more about trial and errors.Back to what Suhay shared she said that after receiving the products non of them irritated her skin at that moment even herself is impressed cause at that moment her skin was super sensitive and the products that won't irritate her skin is something! Her personal favorites are the Facial Sun Shield and Kojic acid Sake essence. clinic Surabaya, and Rejuvie Clinic Bali. This is a product from Kojic acid found from the fermentation of rice. This can be used as a face mist or as primer before applying makeup to hydrate our skin. This product is said to be able to brighten up and smoothen our skin. With the high level of water in this product it can easily hydrate our skin. Vitamin C SerumVitamin C is said to be able to smoothen, protect, brighten and boost the collagen production. Vitamin C will penetrate deep into the skin to protect it from oxidation thus It is an effective anti oxidant to protect our skin from free radicals. I love how Vitamin C can instantly brighten up ones complexion as well as fade scars or discoloration. This serum is suitable fro all skin type including sensitive skin. Made from the extract of cane this moisturizer or collagen booster is made to help remove dead skin cells, fade hyper pigmentation, and fight anti aging. This product also contain Argan oil that consist of fatty acid , oleic acid and linolei acid that are great to moisturize and smoothen our skin. Everyone needs SPF to protect our skin from the harmful UV rays and our perception that by staying indoor we should skip SPF creams is totally wrong because even being in door we're exposed to UV rays from our bulbs. Thus we need SPF to protect our skin and create barriers. However most sunscreen cause acne because they tend to be greasy and oily but this product is oil free and non – comedogenic. This tool is a beauty tool that is usually being used at lots of spa of beauty clinic. This tool can help to cleanse, exfoliate and smoothen the surface of our skin. The cleansing step will cleanse off all the dirt and excess oil on our ski. The exfoliating step will help to remove dead skin cells and boost the production of collagen and skin growth. While the smoothening part with the Hydration spon as you work with moisturizer or serum to help them absorb and penetrate better into the skin. All the speed rotation of the beauty tool can be adjusted based on the needs and tolerance level of our skin. Thank you Votre Peau and beauty journal for inviting!! Now let's talk a little about the product I received from the event. 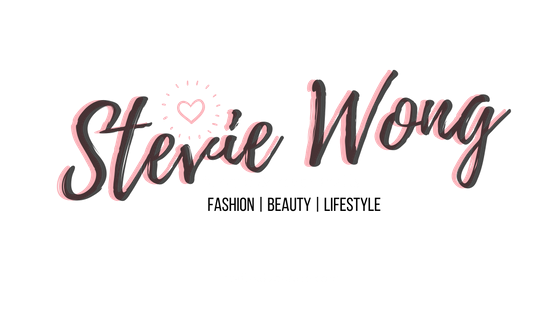 I've not tried it much so I can't really say much about it but I'll give you my first impression and little product overview below. Here's what I got from yesterday's event its the Vitamin C serum .. I've been a fan of vitamin C fro quite sometime now because e of my acne discoloration and I realize how quick vitamin C can help me subside the discoloration and even out my skin tone. Thus I'm beyond excited to try this out however vitamin C aren't for everyone and some vitamin C that doesn't suite me tend to break me out. However good news! This product doesn't break me out after my first application ( finger crossed hopefully it'll work out on my skin) .. I guess its because of its light formula that the product penetrates directly into my skin. With the Salicylic Acid that is usually used to combat acne I believe this product is suitable for all skin type even sensitive to acne prone. I'll need to try it longer to give you an even more detailed review but so far so good! The ingredients are clearly stated on the bottle. Packaging wise its very sleek and clean with all the important note stated clearly on the bottle packaging. This Vitamin C serum comes in a transparent color and it has no significant scent. I texture also feels light on the skin that it can easily absorbs on my skin. The product quickly absorbs into the skin without leaving any tingling feeling and no greasy feeling afterwards too. It feels like the product sinks in directly into the skin. 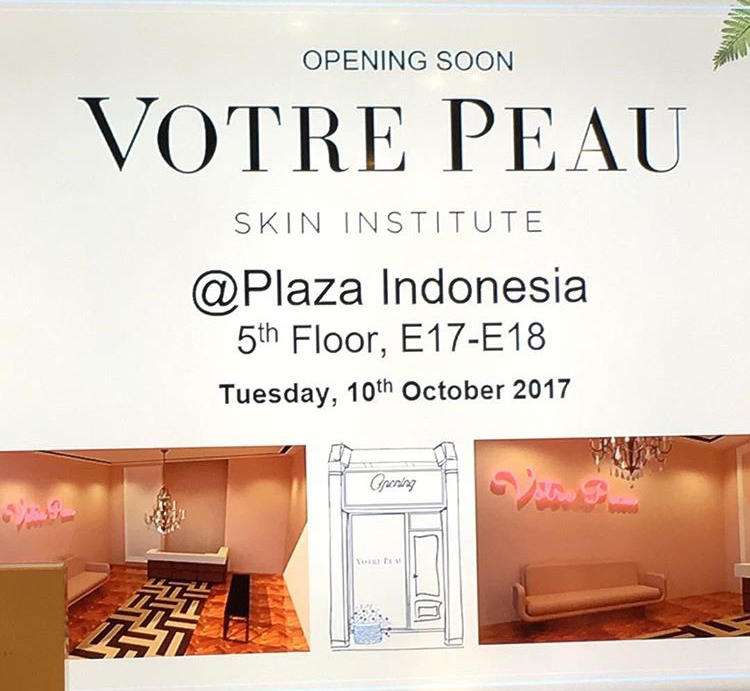 Votre Peau will soon launch their first one stop skin institute at Plaza Indonesia 5th floor E17-E18 on Tuesday 10 October 2017 (which is tomorrow). You can now go there and ask them for guidance on your skin concern and skin care as what Dr. Kevin told us at the launching that customers are free to consult on their skin care products so that the professionals will guide you throughout your endless skincare trial and error journey. This way one can never go too wrong because with professional guidance you'll be more sure about what you apply on your skin minimizing the risk of the skincare products from damaging your skin or causing any problems. Well congrats and good luck to Votre Peau!! 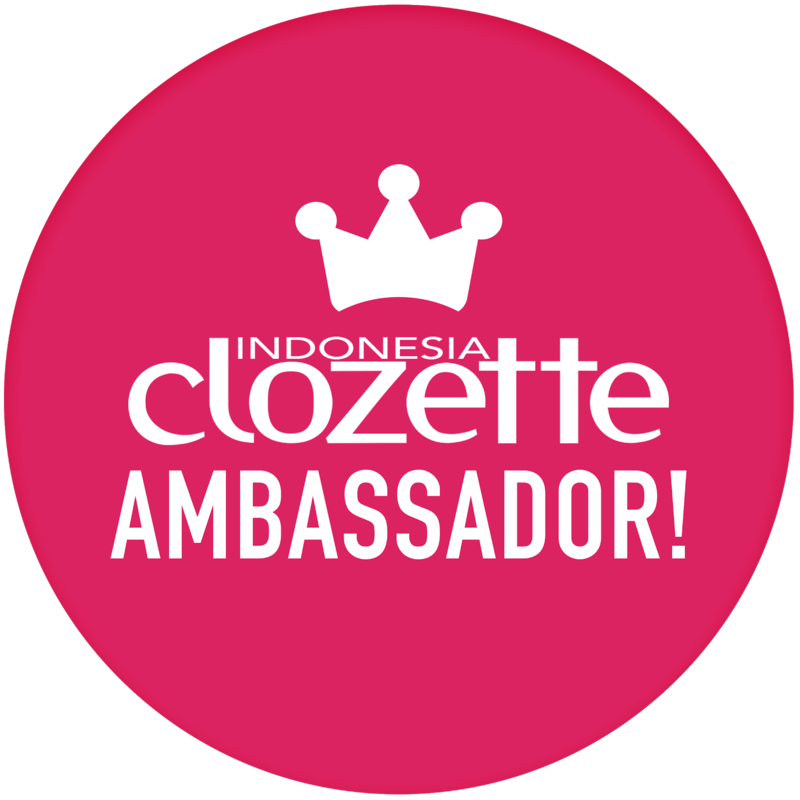 Hope that this brand will be an effective skin care that will help Indonesian people both man and women to achieve their healthy and glowing skin. Continue to innovate as they produce products that will be effective for our skin. Guess that's all for this post. I hope you enjoy reading it, see you on my next one.